Participating in awards and recognition programs is increasingly being shown to boost corporate market capitalization. Is Open Innovation Just Another Word For Outsourcing? 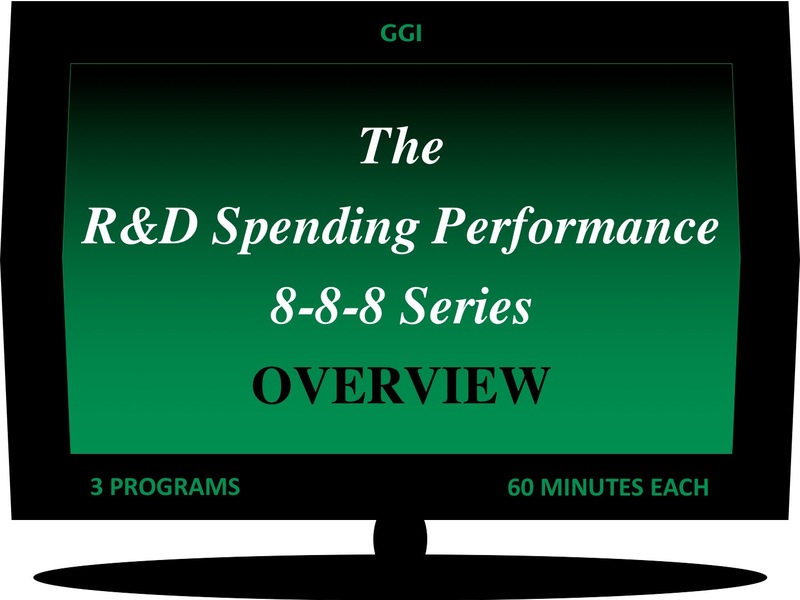 R&D spending increases on track go up for 7-8 consecutive years. GGI focuses on improving business and technology management strategies and practices for product conception, creation, development, and commercialization. GGI has an ongoing commitment to learn and stay ahead of the needs of our clients through our proprietary research and publications, and leadership roles with professional and trade associations. GGI educational programs are open to the public and are also offered privately for companies. Our industry experience, proprietary research, and extensive secondary research all manifest in value-added programs for CXOs. 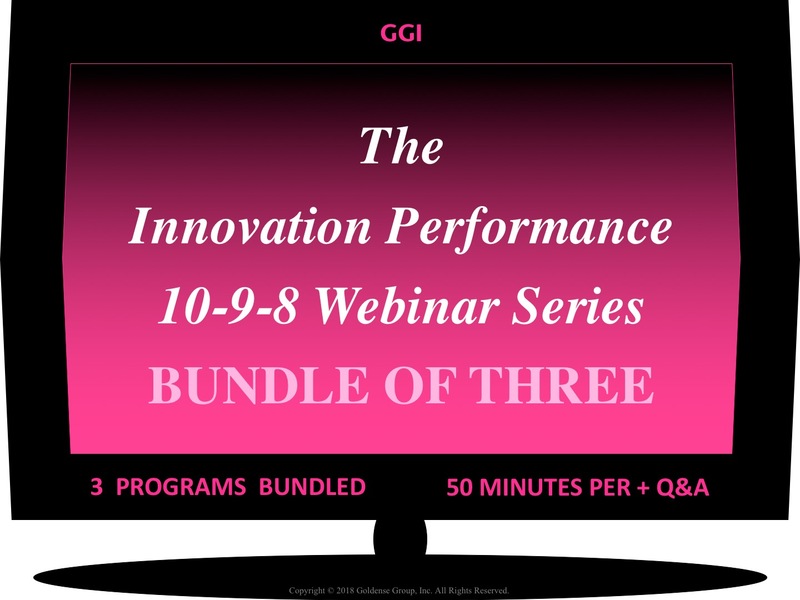 GGI launched a new product line of online programs in the summer of 2018, which we deliver as webinars. Our programs address business and innovation areas where there is significant activity or change, or where significant activity or change is projected. We cull-out the important things that leaders and managers need to know. Each topical 'Series' is three hours in duration and consists of three one-hour programs. Each program in a Series stands on its own, and addresses a slice of the subject matter for that Series. All programs are recorded and subsequently edited and packaged into a polished mp4 video available for purchase. 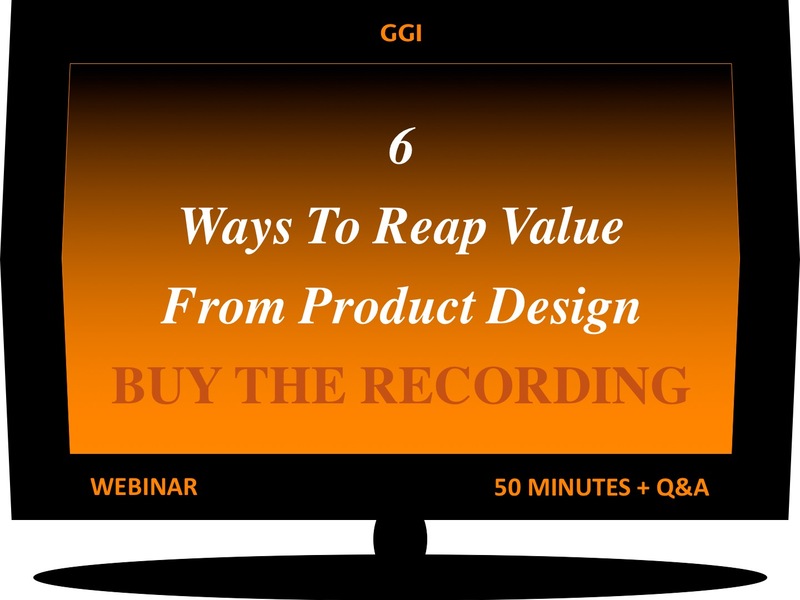 Interested persons may attend live, attend live and receive the edited recording, or purchase just the recording after a program has been completed. GGI will offer several different series each year. One may register for individual programs, or purchase the entire series at a three-for-the-price-of-two discount. 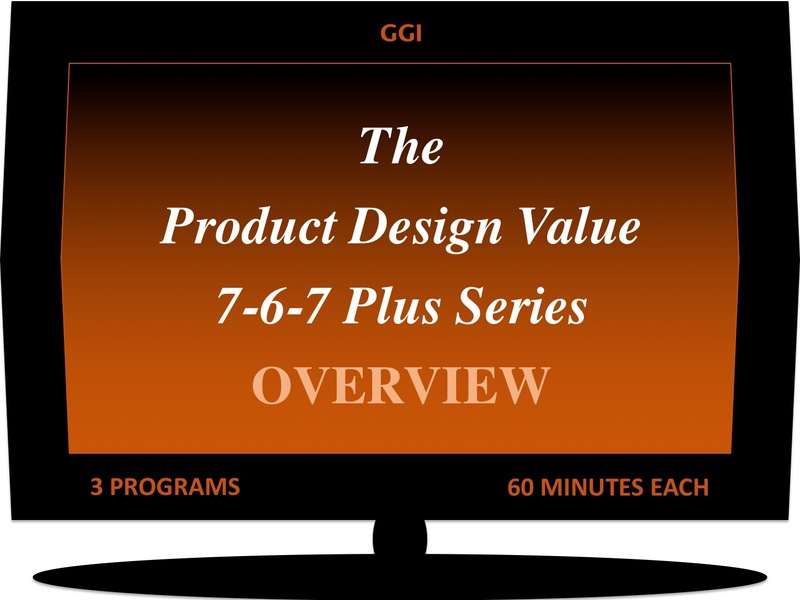 The Product Design Value 7-6-7 Plus Series addresses twenty product design topics in three distinct programs. The first program identifies and addresses the value of designing-in next-generation capabilities. The second program addresses techniques to attain the maximum value from robust designs already achieved, or in process. The third program addresses useful measures to quantify the degree and extent of design robustness and value. We hope you will decide to participate! 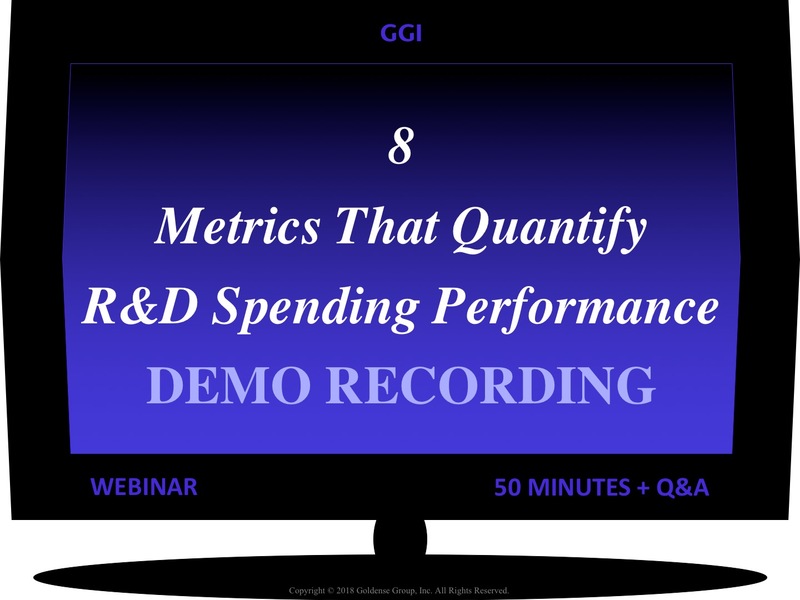 Big data analytics is increasingly unraveling the mysteries of R&D Spending and its ultimate results some 5-12 years later. 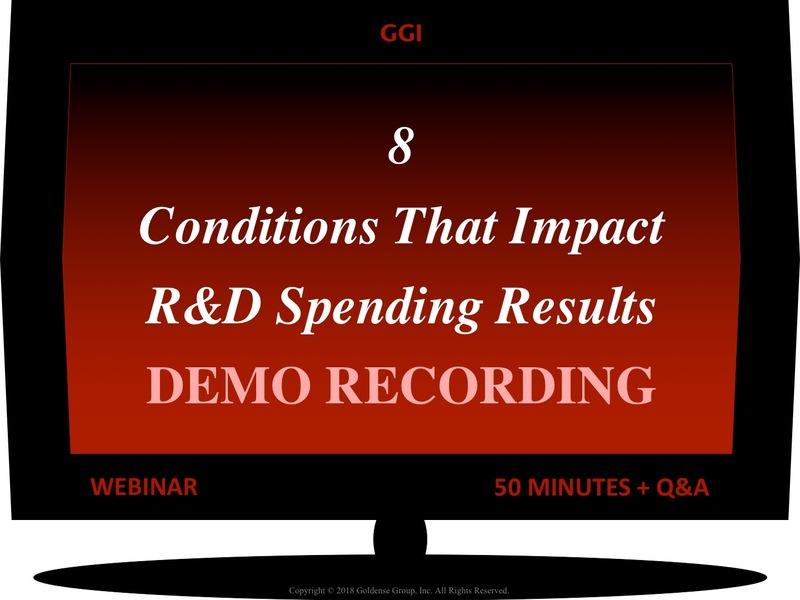 GGI produced three one-hour online programs in late 2018 that zeroed-in on three different areas where progress is being made to tie actual spending actions and decisions to the results they generate. 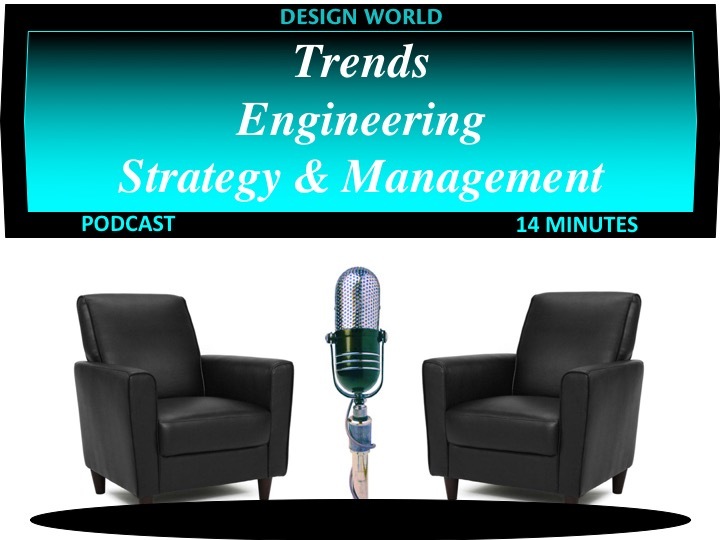 This is emerging management science on the "ROIs of R&D Spending Decisions and Actions." 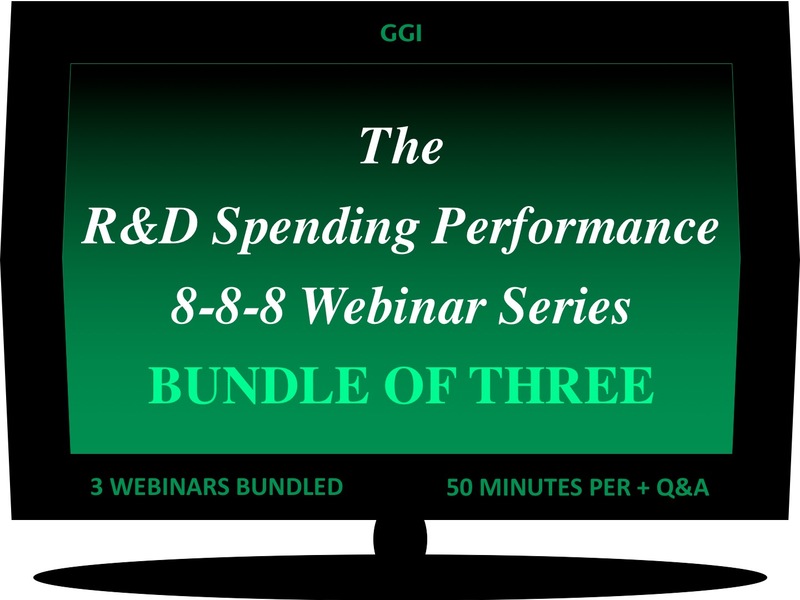 This offer consists of the original three slide decks that were used in the three programs of the R&D Spending Performance 8-8-8 Webinar Series. GGI’s slide decks are not typical MS Powerpoint presentations. Our Technical Papers are filled with graphics and source data. Full bibliographic references are provided, in formats consistent with those used in refereed papers published in professional and academic journals. Where possible, URLs enabling you to find the source data online are also provided. The content in this Featured Item will pay for itself if you implement just one of the topics from the first and third programs just one time. The GGiSTORE Featured Item is always offered at a 40% discount. 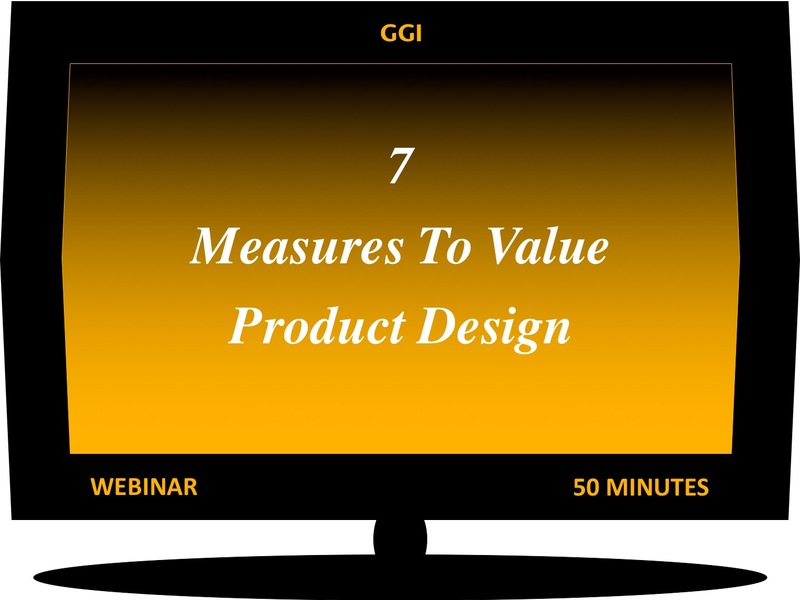 GGI produces content-rich educational programs in the areas of Business Strategy, Product Strategy, Product Management, R&D, Product Development, Innovation, and Performance Measurement. We offer our programs both directly and through alliances. 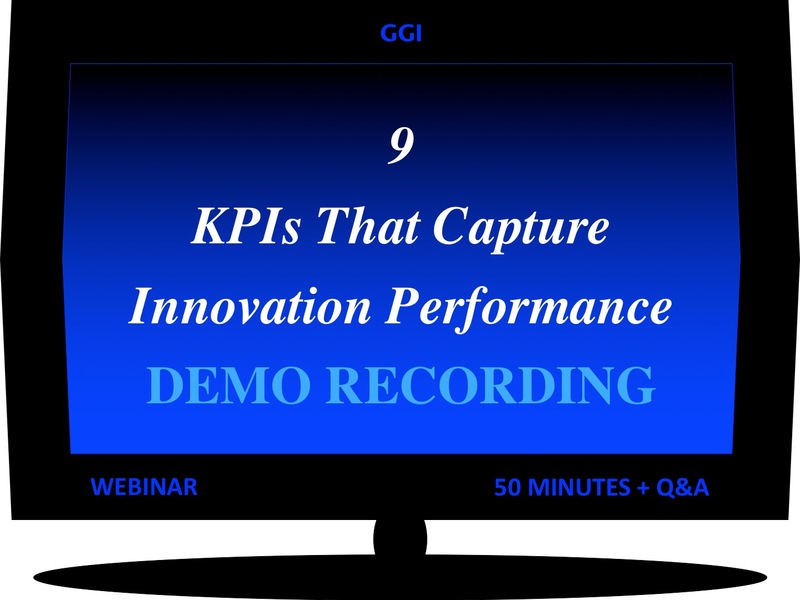 Between 2005 and 2017, GGI produced over thirty immersive three-day Summits on the bodies of knowledge of innovation and metrics. Great companies participated. Alumni take-aways from our Metrics Summits and Innovation Summits are worthwhile. All past and future GGI programs are available in-house for interested companies. We hope you will consider participating in our immersive educational forums. GGI initiated a series of new online programs in the summer of 2018, which we initially called our "Webinar Series." Each Series is three hours in duration and consists of three one-hour programs. Each program in a series stands on its own, and addresses a slice of the subject matter for that Series. Each program is recorded and subsequently edited and packaged into a polished mp4 video available for purchase. 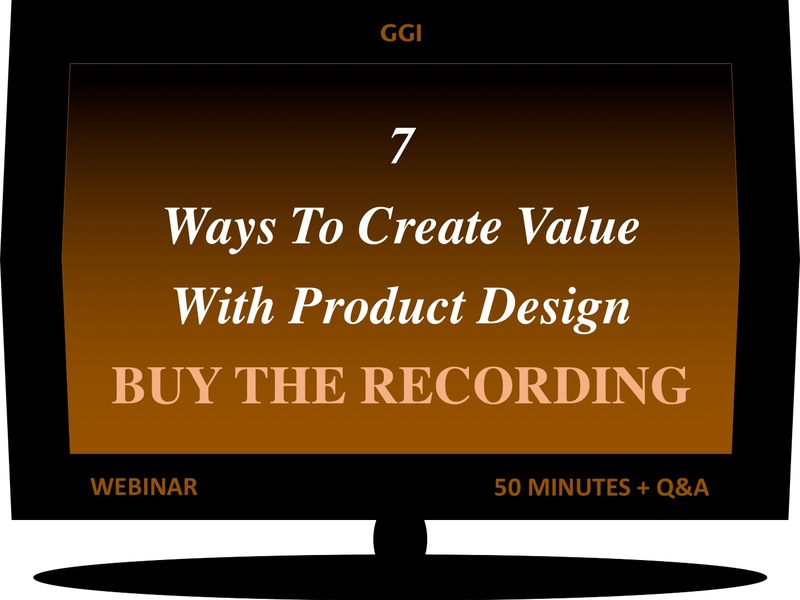 Interested persons may attend live, attend live and receive the edited recording, or purchase just the recording after a program has been completed. 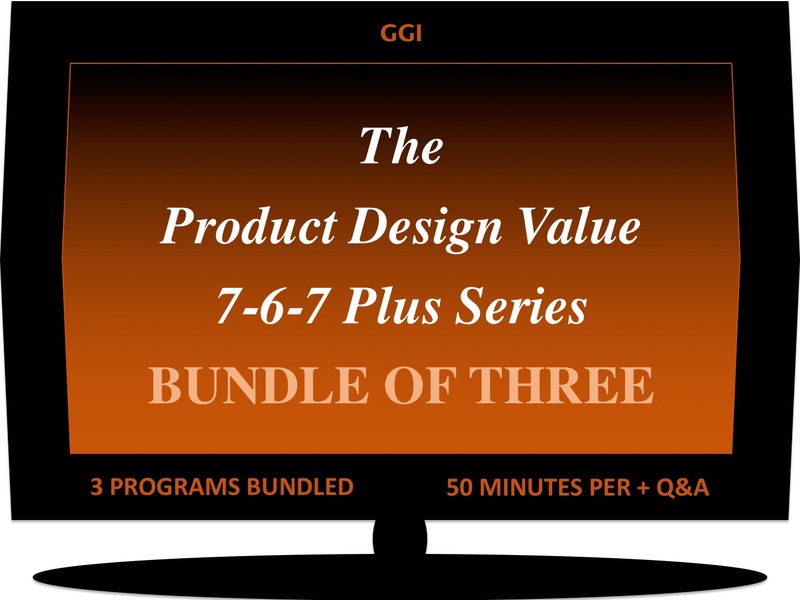 GGI offers multiple series each year. The programs are spaced about one-month apart. One may register for individual programs, or purchase an entire series at a three-for-the-price-of-two discount. 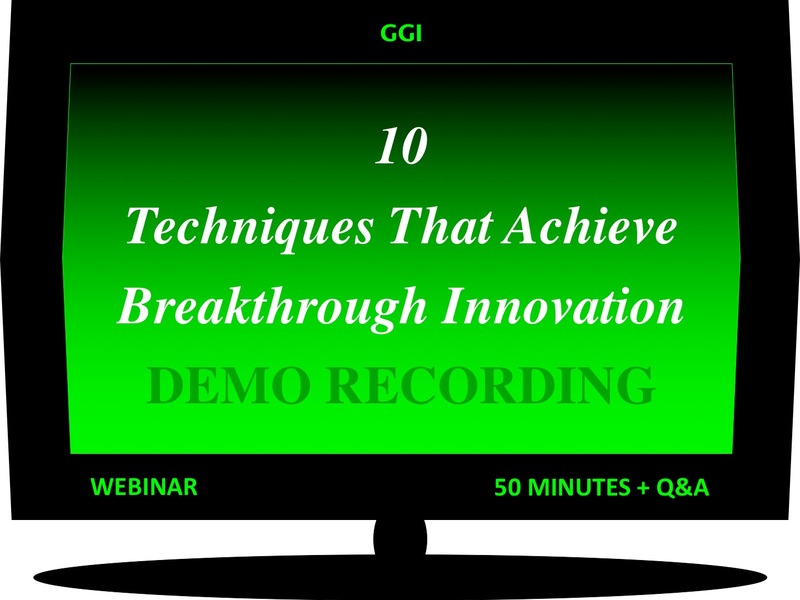 GGI's demo recordings, 4-7 minutes in length, highlight recent webinars and programs GGI has delivered. The demos give viewers an idea of the subject matter by sharing the cover and table of contents of the Technical Paper delivered in the program. 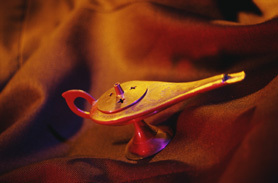 The demos conclude with a unique analogy that we craft for each program featuring a famous or notable place, and how it relates to the subject matter of the program. You’ll get an idea of how we package the full-length recording, and the music we add, in our 4-7 minute demos. Some folks say that our numerous complete bibliographic references with URLs of the sources we cite, saves them hours surfing the web to find accurate and reliable information. Check out a demo. We will deliver on the subject matter you see in the table of contents. Buckle-up for lots of facts and figures, and ever so little conjecture. 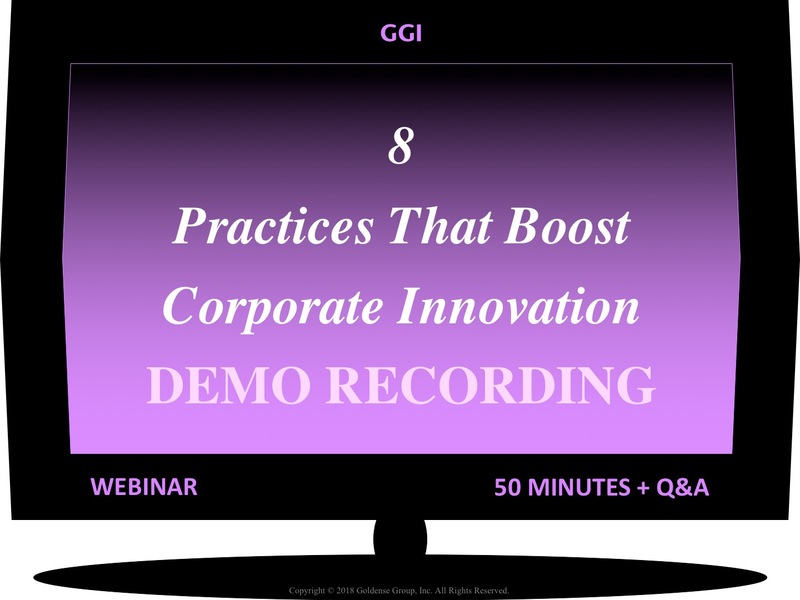 GGI is occasionally invited to participate in podcasts with business colleagues and corporations that are interested in GGI's body of knowledge, or our expertise on specific subjects. 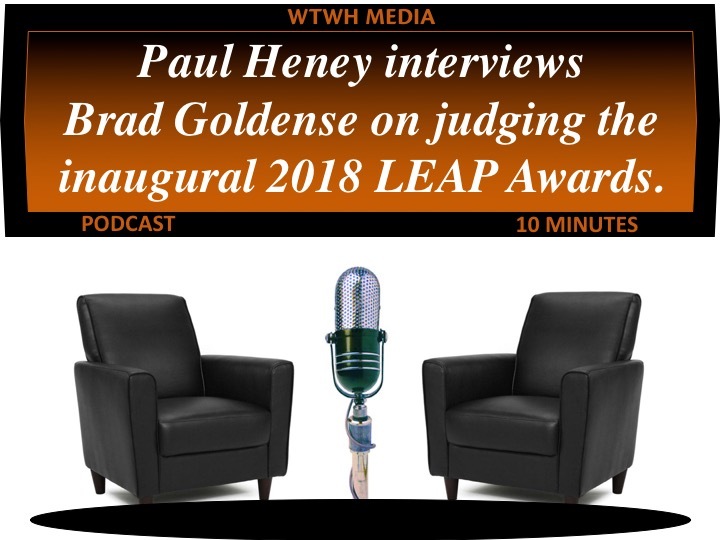 These guest appearances span a wide range of subjects, but are generally related to the Strategy, Conception, Definition, Creation, Development, Positioning, and Commercialization of new Technologies and Products. Many sponsors of these podcasts have graciously allowed GGI to render their file on our site. Everything is complimentary. That's what you will find in this section. We hope you enjoy these dialogues and discussions. A select sampling of our consulting clients. The DPD Blog features subjects related to the execution, effectiveness, productivity, and business results from investments in R&D and product development. Other content includes related news, events, and conferences. The TI Blog features subjects related to the creativity, innovation, invention, and possible disruption results from investments in R&D and product development. Other content includes related news, events, and conferences.